Guests are welcome to join us for Holy Mass from Monday to Saturday. 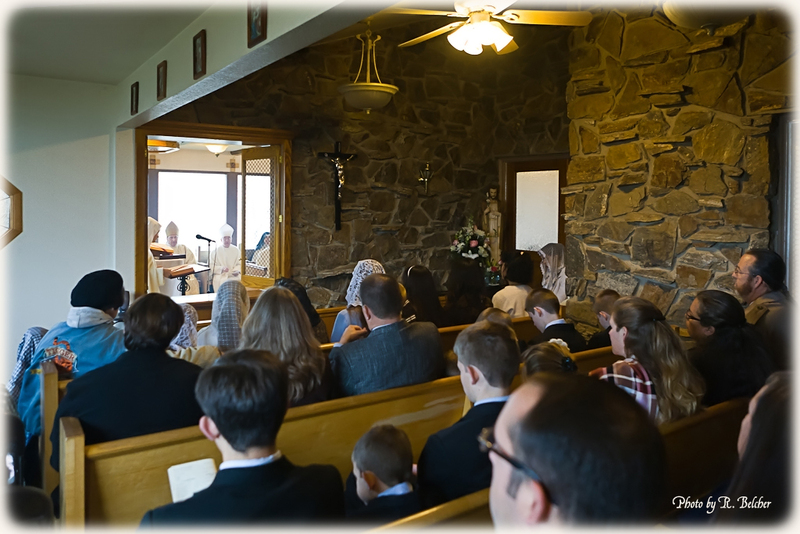 Holy Mass is at 8:30 a.m. each morning except on Friday, when it is at 5:15 p.m. Guests are also welcome to pray in the chapel during the day, and to join us for the Liturgy of the Hours and other prayers at the times listed on our schedule. 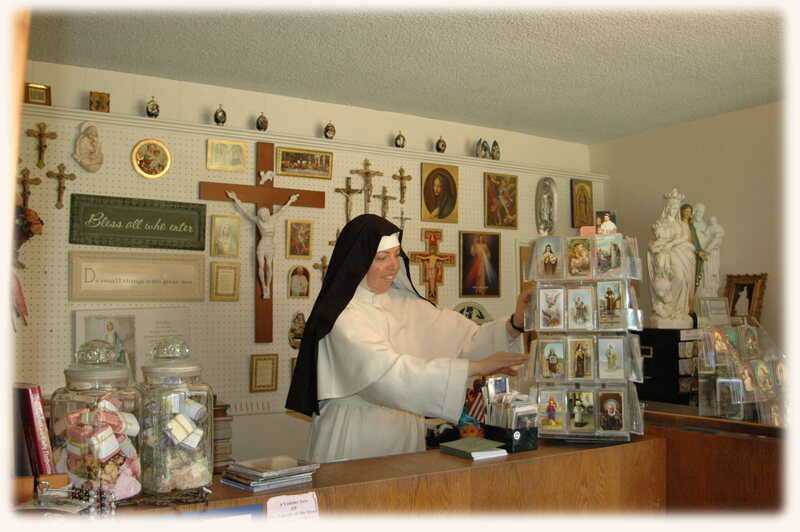 Our Monastery Gift Shop and Bookstore offers a variety of religious books and items, as well as gifts made by the sisters, including Rosaries and other sacred items, baked treats from our Monastery kitchen, as well as hand-crafted products from our apothecary and sewing shops. Hours: open daily: 10:00 a.m. – 11:30 a.m. & 2:30 p.m.- 5 p.m. Closed on Friday at 4:00 p.m.
Payment: We are able to accept cash, checks and credit cards. Take “Exit 148, Tehachapi (202)” which is also Tucker Road. Go south on Tucker Road 2.1 miles to Highline. Go right on Highline 1.3 miles to Water Canyon Road (the 4th street ). 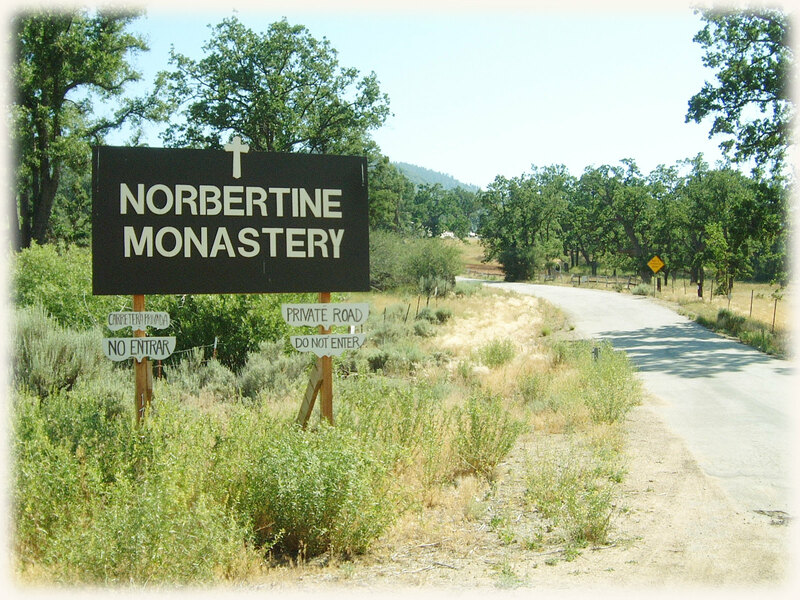 Go left on Water Canyon Road 2.3 miles to the brown “Norbertine Monastery” sign, and turn right onto the property (Paradise Valley Road). Make a right at the white fence. Drive past the two log cabins up the road to the chapel/gift shop at the top of the hill. Ring the door bell located just outside of the chapel door.